National Eye and Ear of Tucson has been a local Tucson business since 1982. We specialize in caring for all your vision needs, no matter your age, or vision condition. We provide everything from eye exams and hard-to-fit contact lenses, to specialty lenses and non-surgical lens correcting contacts. We have the most caring doctors who are up to date with the latest treatments and our dispensary is full of fashionable frames. Our Tucson Optometrists pride ourselves in treating families for generations and love each patient, old and young! We truly believe our family practice is quite special, and we’re proud to have may long time patients and staff who make National Eye and Ear of Tucson more than just an Optometry Clinic. Doctors Gosses and Reichardt are a father-daughter pair of optometrists dedicated to providing the best eye-care service in Tucson AZ. Dr Kenneth Gosses has owned National Eye and Ear since 1983. 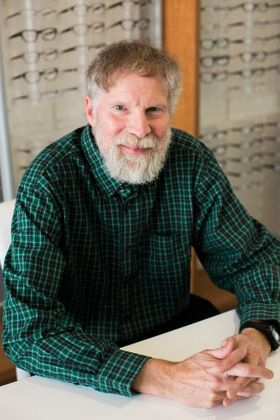 Optometry is his passion, and he shares it with the Tucson community as well as his family. He has a wife, two children, and a new puppy! He’s also Dr. Reichardt’s dad! Dr Christina Reichardt is also a family person, with a wife and two kids of her own. 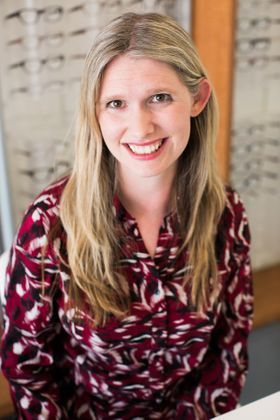 She loves working with kids and is an expert in pediatric eye care! 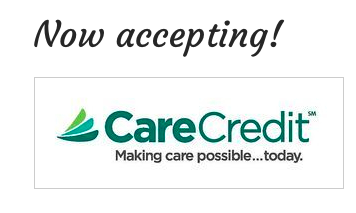 Our mission is to provide high quality Eye care and personalized service at affordable prices with great value. Copyright © National Eye & Ear of Tucson. All Rights Reserved.